1 What is Granuloma Annulare? 5 What Causes Granuloma Annulare? It is a chronic or long-term skin disorder that gives rise to benign, reddish rashes over the skin surface. 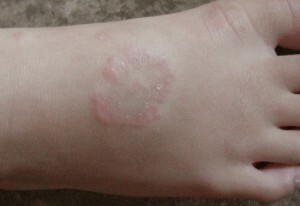 The rashes appear as raised, circular bumps that are arranged in a ring-like or circular fashion. This skin condition typically affects children and adults within young to middle-aged group. The disease leads to rashes on the lateral as well as dorsal surfaces of hands, fingers, elbows, ankles and dorsal feet. The cause of this disease is not known. Also known as “Macular granuloma annulare”, this skin problem usually affects women between 30 and 70 years of age. 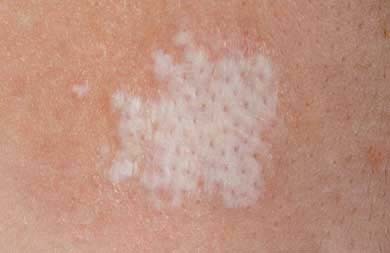 It is marked by red or reddish-brown skin lesions that are flat or moderately palpable. It is not clear why this condition arises. The disease has no known cause and generally appears on the dorsal surface of hands. It is characterized by small elevated bumps with a keratotic core in the middle. Another GA form without any known cause, this condition tends to affect women between 50 and 60 years of age. 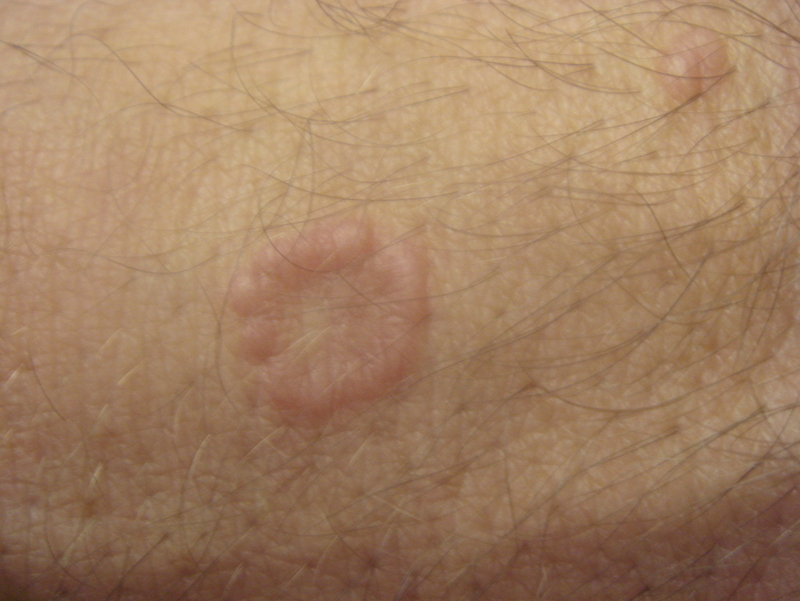 It manifests as dispersed yet symmetrical bumps or ring-like eruptions consisting of over ten skin lesions. In some cases, there may also be hundreds of lesions. Also referred to as “Pseudorheumatoid nodule” or “Deep granuloma annulare,” the condition arises without a definite noticeable cause. It mostly affects children and is characterized by skin lesions that develop most often on the lower region of legs. This skin disease commonly affects more number of girls than boys. This skin condition is seen to affect individuals suffering from an HIV infection. 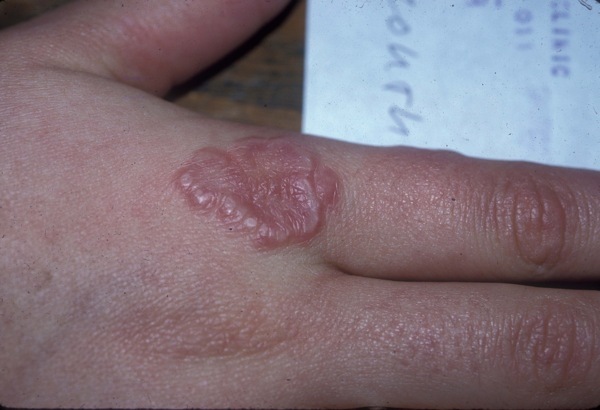 The disease is typically characterized by generalized and papular skin lesions. This condition is marked by the appearance of rashes on various regions of the body. The rashes can emerge in ring-like clusters or as elevated bumps that typically measure less than 1.25 cm (or ½ inch) in diameter. Generally, these appear as raised lumps on the top of the feet or the back of the hands. However, these may also arise as a ring of small papules on other areas of the body. 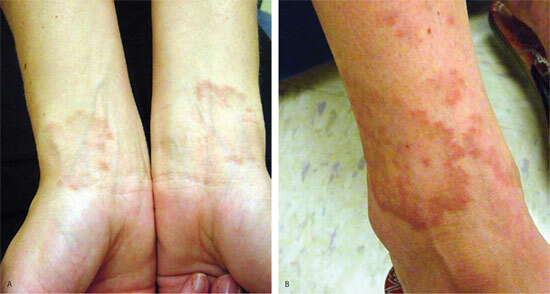 In rare cases, the rashes may appear as firm nodules beneath the skin of the legs or the arms. In some people, these rashes may widely disperse all over the body. Typically, raised GA rashes are found to be redder than the normal skin tone of a person. In some cases, there may be slight itchiness in the rashes. However, pain and other discomforting symptoms associated with other types of rashes are generally found to be absent here. The exact causative agent of this condition has not yet been identified. Majority of adults and children with this skin disease are found to be quite healthy otherwise. This makes it difficult to identify any cause for doctors. However, the disorder is supposed to have a preference for females as girls are found to suffer slightly more from GA than boys. Stress is also believed to play a role in the development and continuance of these rashes. According to some studies, individuals with thyroid disorders, childhood diabetes or hormonal imbalances are at an increased risk of suffering from this skin disease. This skin condition affects people of all age groups. Around 15 percent of the total population of GA patients is found to suffer from Disseminated Granuloma Annulare. Patients of Disseminated GA usually comprise of adults older than 40 years or children who are younger than 10 years. The disease is more common in girls than boys. 40 percent of children suffer from recurrence of these lesions. Diabetes is associated with GA and is also believed to be a causative agent for the condition. A large percentage of Disseminated GA sufferers are found to suffer from Diabetes Mellitus. It is not difficult to associate GA with diabetes. Presence of diabetes problems causes disturbance in the carbohydrate-lipid metabolism. The disease is also associated with nervous problems and damage of small blood vessels. Skin lesions arise as a natural consequence of these problems. People having abnormal rashes on their legs or forearms should immediately visit a primary healthcare provider to make a proper diagnosis of the lesions. A physician carefully examines the rashes and diagnose whether these are characteristic of GA. They can also differentiate the condition from other possible skin problems. Due to their shapes, GA lesions are often confused with rashes arising due to ringworm infection. A KOH test or skin biopsy may be needed to rule out a fungal infection. Once a proper diagnosis has been made, a physician may consult the patient about the possible treatment options for the disease. Generally, this condition is asymptomatic meaning it causes no symptoms. Treatment, therefore, is unnecessary other than improving the appearance of the hands or feet. In some cases, extremely strong ointments or steroid-based creams are used to clear up the lesions at a faster pace. Administering steroidal creams directly into the rings through injections can also prove to be effective. Some physicians may choose to remove the rashes with the aid of cauterization which involves freezing the abnormal bumps with liquid nitrogen. In extreme or widespread cases of GA rashes, oral medications or ultraviolet light therapy may be used for cure. Very large lesions need to be removed in this way or through a minor surgery. This skin condition is not harmful. Due to this reason, physicians generally discourage extensive treatment. However, some affected individuals wish to use medical remedies for cosmetic purposes. Topical corticosteroids are prescribed to such patients to quickly shrink the bumps and reduce inflammation, thus making recovery much faster. Individuals with underlying health problems like thyroid disorders may require specialized medicines to manage the disease. Applying this herb on the lesions has been found to yield good results for some patients. Also known as Chinese rhubarb or “Da huang”, this herb consists of phytochemicals like beta-carotene which promote healing and combat infection. It is manufactured from the gum extracted out of the Indian olibanum tree. It restricts the production of leukotreines or the unsaturated fatty acids that are released during allergic reactions and lead to inflammation. Ginger (zingiber officianale) is famous for its anti-microbial effects that helps prevent infection. Physicians often recommend this herb for curing GA lesions naturally. This Himalayan herb is a part of Ayurvedic herbal medicine and is popular for its antibacterial and anti-inflammatory properties. Naturally, it is considered as a cure for papules. It is produced from the oil of Torchwood treep and contains steroidal saponins that have powerful anti-fungal properties. For this reason, herbalists recommend Arishina gurige for curing GA lesions. GA rashes generally appear as papules or little red spots over the skin of the hands or feet. These are usually harmless and self-limiting in nature, meaning these resolve naturally with time and without any treatment. These may recur only in a few occasions and again go away in the same fashion. In most cases, GA rashes take a long time to disappear on their own. Without treatment, the condition usually resolves within a span of 1-2 years after its onset. However, the ring-shaped lesions can sometimes persist for many years. It is not uncommon for new rings to arise after a few years. The rashes of Granuloma Annulare often arise on the regions of the body that are exposed to the sun, such as the forearms and the hands. Protecting these areas from sunlight can help prevent the outbreak of these rashes. This can be done by covering the areas with proper clothing. Applying a high-quality sunscreen (of SPF 15 or more) on the areas can also help avoid rashes from breaking out. Take a look at these Granuloma Annulare photos to know how rashes arising due to this condition look like. These useful Granuloma Annulare images will provide you with an exact idea about the appearance of GA lesions. If you develop a ring-like rash or an elevated bump that refuses to go away in a few weeks, call your health care provider as soon as possible. Quick diagnosis and medical attention helps persistent rashes of this disease resolve faster. It can also help you evade any potential complications that may arise at any time in future.